We were very excited over here at Ruby when one of our readers asked us for advice on what to wear to an engagement party! We were excited firstly, because we love fashion and will use any excuse to do a fashion board, and secondly because we were flattered to know that a reader trusts our insane judgement enough to ask such a thing! Our reader was quite explicit about what type of engagement party this was going to be and therefore how fancy / not fancy the outfit should be. Also, the party is taking place on beach sand and outside - so we took that into account. Basically its an outdoor, relaxed party, and our reader wants to feel comfortable and chic, while not being overdressed. We made sure that every item on these two looks were firstly affordable, and secondly available in South Africa. We don't see the point of showing you beautiful outfits that you can never get your hands on - what's the point right? We hope that this is the first of many reader-inspired fashion boards, so don't be shy to ask us to create anything for you! :) So onto our first look. Nothing says smart-casual (what an oxymoron) like well fitted jeans and a smart blazer. We love this kind of look because it's effortless. Everyone has a great pair of jeans that they love and feel amazing in. Pair those with some other keys items, and you'll have a well received and polished look. 1 - A stripy tee that's a bit loose will give you that relaxed and chic look. We love this pleat shoulder striped shirt from Jay Jays at R100. 2 - Wide leg dark jeans are great if you are short and the darker they are, the more formal they appear. We chose these very affordable flare jeans from Edgars. They're only R140! 3 - Heels will always add a touch of sophistication to your outfit. Heels and the beach? Tricky. That's why we think these suede closed wedges from 36Boutiques in red are perfect. No sand getting in your shoes, plus the added stability of a wedge. And at only R359 they're a steal! 4 - Tan and red are a classic combination and we love the slouchy style of this tan cross body bag from Woolworths. An investment piece at R999. 5 - Summer is slipping away from us and for that added layer of warmth, we chose this knitted jersey at R199 from Jay Jays. 6 - No one likes a plumbers bum - keep your pants up with this classic genuine leather skinny belt from the Woolworths Collection. Also available in black and yours for only R80. 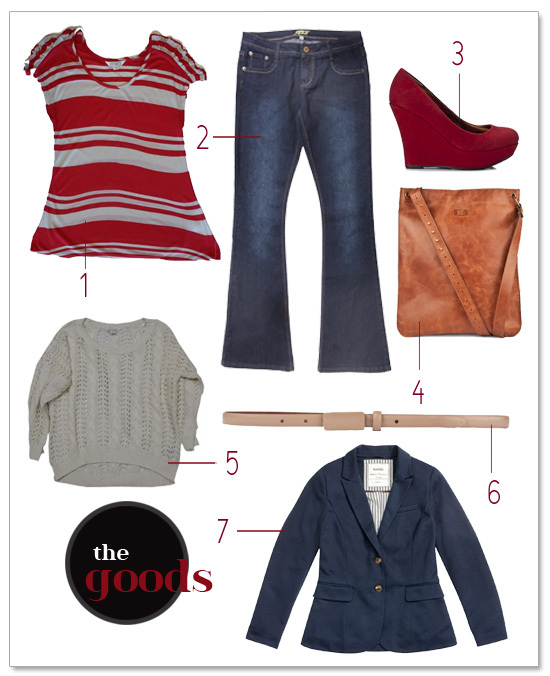 7 - Finish off your outfit with this great find. Blazers are the winter accessory to look out for and we love this navy knit lined option from Edgars. The stiped interior is great for showing off by rolling the sleeves up. A steal at only R399. 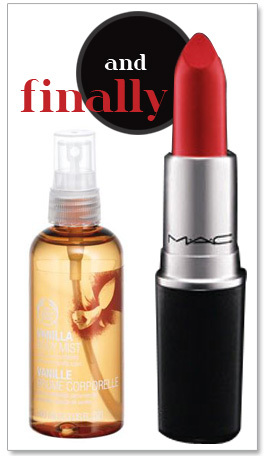 Finish off this winning outfit with a spray of Body Shop's to die for Vanilla Body Mist and be daring with M.A.C's LADYBUG lipstick. Not quite a jeans and t-shirt kinda girl? This second look should be right down your alley! 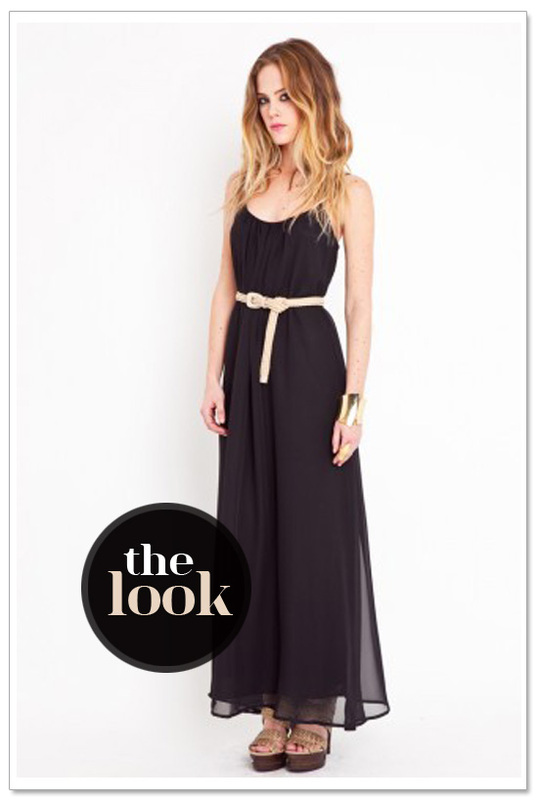 A maxi dress is a great way of taking smart casual to another level. The flowing fabric will make you feel light and feminine and may also hide some lumps and bumps that women are all to familiar with. Pair a simple black maxi dress with some fun jewellery and you've got the look. P.S Don't you just love the models ombre hair? 1 - We love the look of this Studio W Nesting Pendant Thong Necklace. A bargain at only R80. 2 - This Trenery Colour Block Clutch is right on trend and a good price at only R400. We love seeing the colour blocking trend in neutral palettes - it means you can use this bag past the trend. 3 - This comfy looking Country Road Maxi Dress is a classic find and the price is just affordable at R600. Especially because it's black, and therefore classic. We wouldn't pay that price for any other colour! 4 - We love this fun Bear Stack Ring by Dear Megan. The perfect touch of quirkiness to your outfit for R350. 5 - Wedges are a safe bet on the beach and these Rope Wedge Bow Slingbacks are stylish and affordable at only R299. 6 - Finally, this high waisted Kaleidoscope belt from Missibaba is not a necessary addition to this outfit, but simply an extremely R1450 indulgent one. It's beautiful, isn't it? 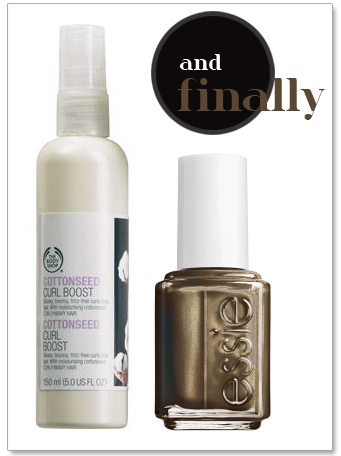 Finish it all off with a squirt of Body Shop's Cottonseed Curl Boost for that wavy look and a dash of Armed and Ready from Essie on your toes and fingernails! Look 1 found here. Look 2 found here. Product sources can all be found in item descriptions.